I composed these five original pieces to be an overture or a beginning to Franklin Abbott’s CD release concert at 800 East Studios. I performed these five pieces on the harp, and they were recorded as a live concert CD – my new demo CD called Reverie that is now for sale. 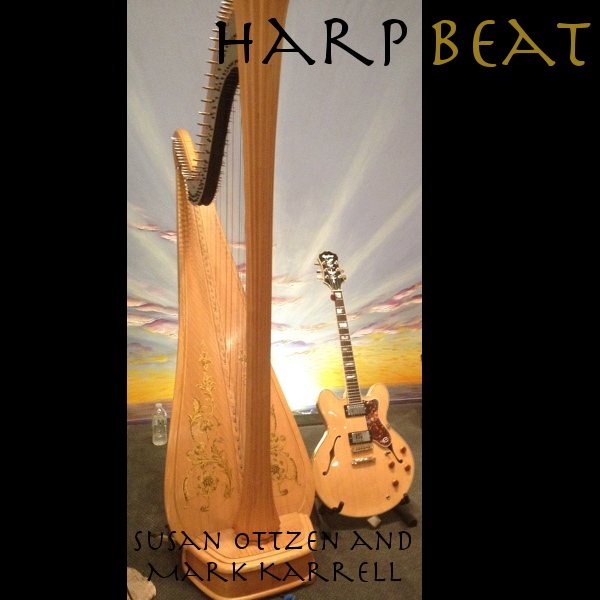 Harp and guitar from Susan and guitarist Mark Karell. The CD is now available for purchase. To purchase Harp + Light One online through CD Baby’s secure shopping cart click here. Your CD is wonderful! Your rhythm is dead on and you are very courageous in both tunes and playing. I really like the way you dig in … very, very creative stuff!